This is your chance to enjoy the “Sport of Kings” whilst raising money to stop diseases and disabilities in babies and children. A Tipster Session with an Expert! All this for only £120 per person or special deal of £1100 for a table of 10! This is a day with a difference and the opportunity for you to treat your clients to a day they won’t forget and where perhaps they can leave with some cash in their pockets! 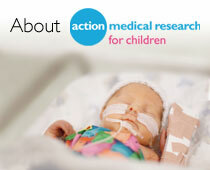 Action Medical Research is a registered charity in England & Wales (208701) and in Scotland (SC039284).